Crystal Ski Holidays believes that a ski holiday is about more than just skiing. Crystal Ski Holidays believes that a ski holiday i’s completely different to any other - It's about dramatic settings, socialising and sport. 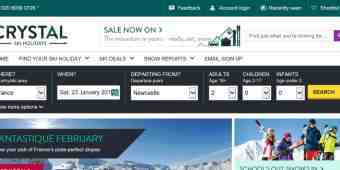 Crystal Ski Holidays love the mountains as much as their customers and want to give their customers the choices that they want - enabling them to create their own memories.